JAY'S HERE! Funny man Lewis Black was scheduled to make you laugh tonight, but unfortunately his show was canceled. 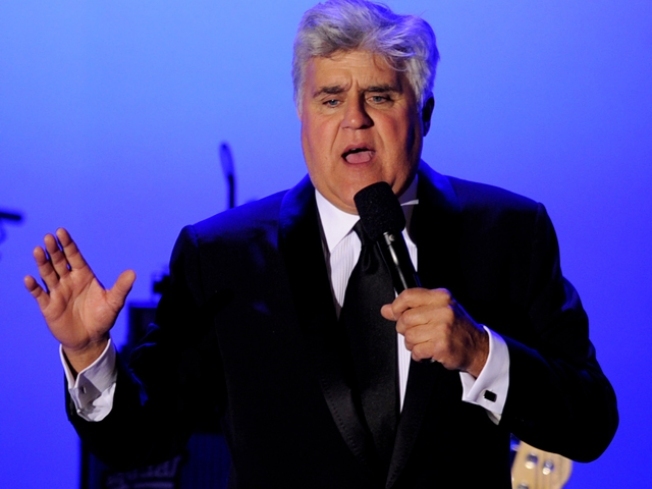 Stepping into the spotlight in his place is NBC's very own Jay Leno. Your Lewis Black tickets will be honored tonight, you can return them for a refund, or buy tickets now to see Jay tonight. He'll be on stage at the Hard Rock Live in the Seminole Hard Rock Casino. 8 P.M.
JUST DANCE: It's a kaleidoscope of art in different forms at the New World School of the Arts. Artists, dancers and choreographers will perform modern dance from choreographer Gerri Houlihan, who directed the Houihan & Dancers company in the 90s here in Miami. Florida Dance Festival Winterfest, 8 P.M.
UNCORK THURS: It's a weekly wine tasting series and you're invited to participate. head to ONE Kitchen & Bar to enjoy a 25 percent discount on dishes from different regions paired with the perfect wine. $25, 7 P.M.